In late 2016, Musk launched Square Roots, an urban farming incubator program in Brooklyn, New York. In 2011, he started a nonprofit program that has installed "Learning Gardens" in over 300 schools, with the intention of teaching kids about agriculture. His longest-running food ventures, are two restaurant chains: The Kitchen and its affordable counterpart, Next Door. The chains, which first opened a little over a decade ago, serve dishes made strictly with locally-sourced meat and veggies. Now, he tells Business Insider that he plans to expand the Next Door chain to cities in at least a half-dozen Midwestern and southern states, including Iowa, Ohio, Michigan, Wisconsin, Missouri, and Arkansas. Though Next Door only has three locations right now, Musk aims to open 50 more locations by 2020. By the end of 2017, six locations will open, with the next one in Memphis in May. The prices for Next Door's entrees average $10, and sides cost around $5, which is comparable to other farm-to-table restaurants like Chipotle, Sweetgreen, and Dig Inn. Unlike these grab-and-go chains, however, Musk says that the new Next Door locations will be places for "Millennials to hang out." 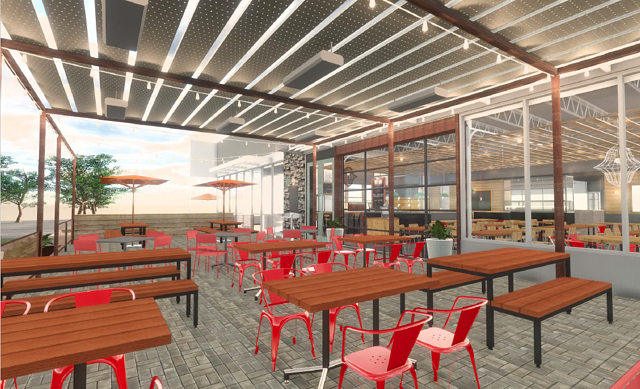 To create that atmosphere, the restaurants will offer full table service, happy hour, patio space, and weekly events. "Next Door is about human trust — Where does the food come from? Is the farmer treated well? Is it nourishing for the body? Is it nourishing for the community and the planet? Our constituency really cares about all these things," Musk says. This is an excerpt from this full article posted on BusinessInsider.com.